Save Time! — Simply Complete information below and email it to info@showofficeonline.com. We will Send You an Official Admission Badge or Tickets for the Products Show (provided, there is enough time in advance of the show — otherwise, please register at the door). Sign up today in Advance through Eventbrite and receive a Gift at Registration! Encourage your personnel to attend! — Send now for Additional Complimentary Tickets! Please send additional complimentary tickets for this Products Show. 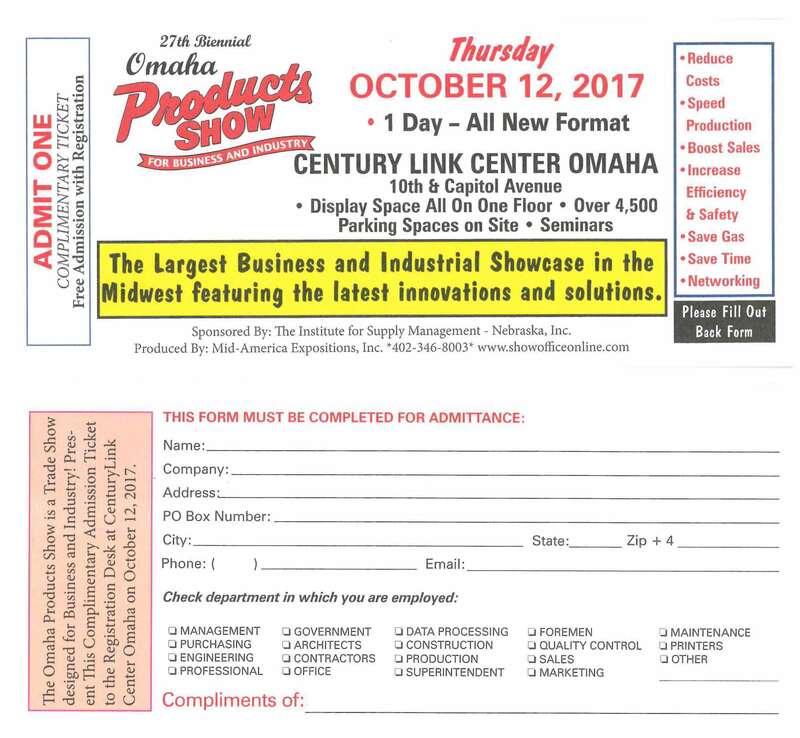 Let us know if you would like information on how your company can exhibit in Products Shows for Business and Industry.